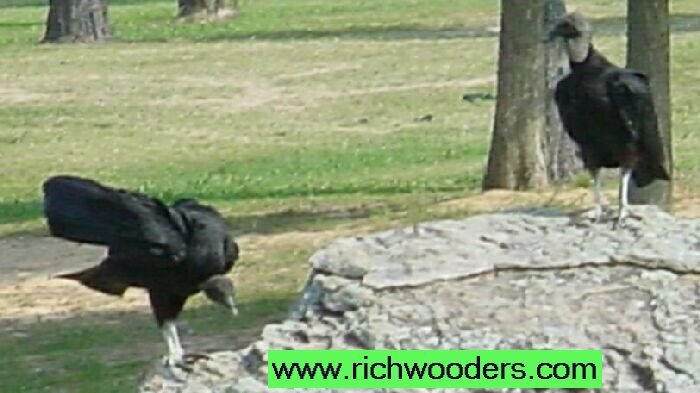 The Black Vulture has a body length of about 26 inches, weighs about 5 lbs. and a wingspan of about 5 feet. Submitted by: BillybobA black vulture, with featherless head, black feathers, large strong feet with toe nails, and a strong hooked beak for tearing flesh. Other common names include Carrion Crow and sometimes called a Black Buzzard. 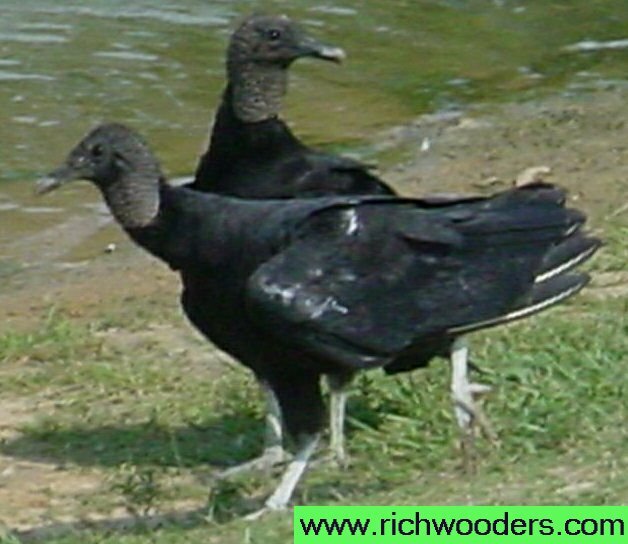 The black vulture is a social bird and gathers in great flocks and they roost by the hundreds. They find food and carcass by vision. Thank You for stopping by Richwooders. Y'all come back. American Black Vulture ( Coragyps atratus ) has a body length of about 26 inches, weighs about 5 pounds and a wingspan of about 5 feet, with featherless head, black feathers, large strong feet with toe nails, and a strong hooked beak for tearing flesh. Other common names include Carrion Crow and sometimes called a Black Buzzard. 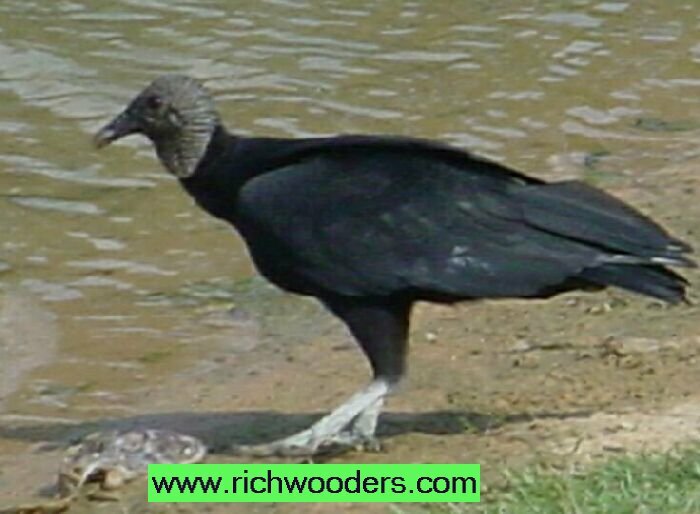 The black vulture is a social bird and gathers in great flocks and they roost by the hundreds. They find food and carcass by vision. The Black Valture eggs are usually laid in a protected location on the bare ground or rock ledes, two eggs laid and both the female and male will sit on the eggs for about 39 days and both feed the chicks.